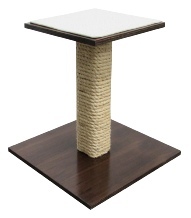 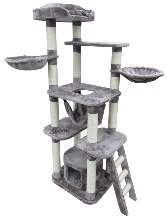 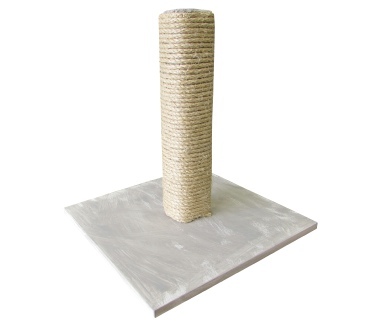 Modern look high quality scratch post, manufactured with ¾ walnut wood and stained in dark rich espresso stain, the scratch post is solid wood and wrapped in 3/8” thick all natural Brazilian sisal. 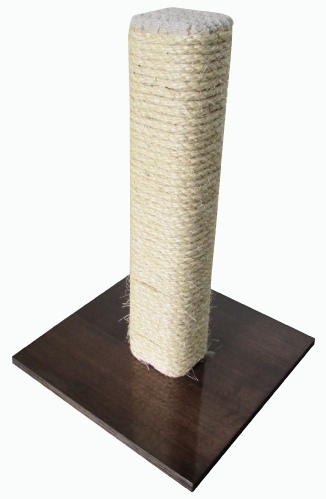 Manufactured with: High quality ¾ wood, Solid wood post is wrapped in natural 3/8” Brazilian sisal rope, metal hardware components. 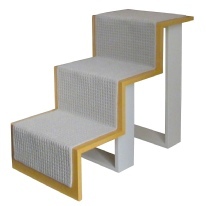 Includes step by step assembly instructions, hardware & tools. 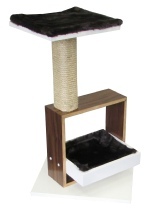 Assembly time: 3 min.